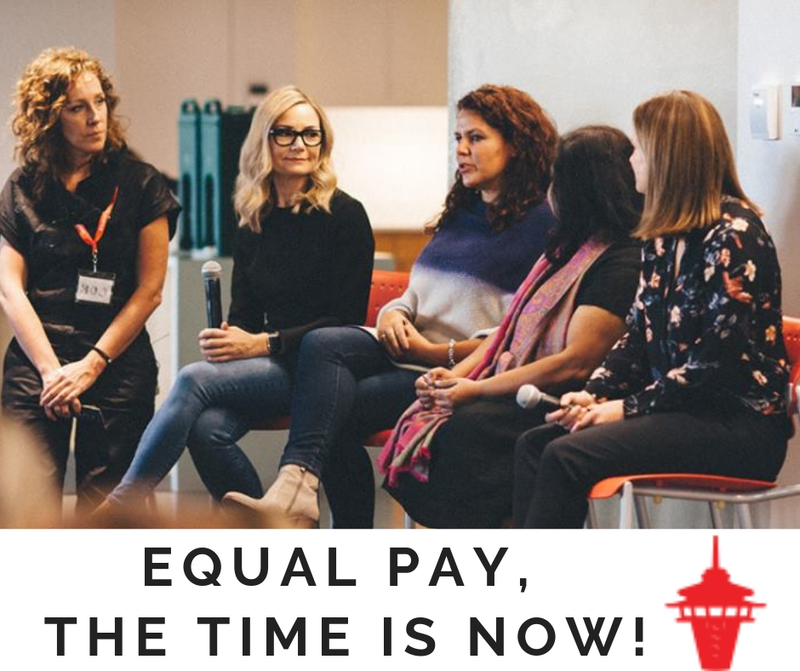 Lean In Seattle | Equal Pay, The Time is NOW! Join us Saturday, April 13th for an inspiring Equal Pay Day event; together we will explore practical solutions for closing the wage gap. Our expert panelists will share insights on equal pay from both micro (individual and employee) and macro (corporate and collective) perspectives. Leave ready to take empowered, pragmatic action to ensure equal compensation for yourself and other women. It’s time to thrive and move ahead with pay equality, positively impacting our wallets and our world! Please RSVP today and if your plans change and you will not be able to join us on April 13th please update your RSVP by April 8th. 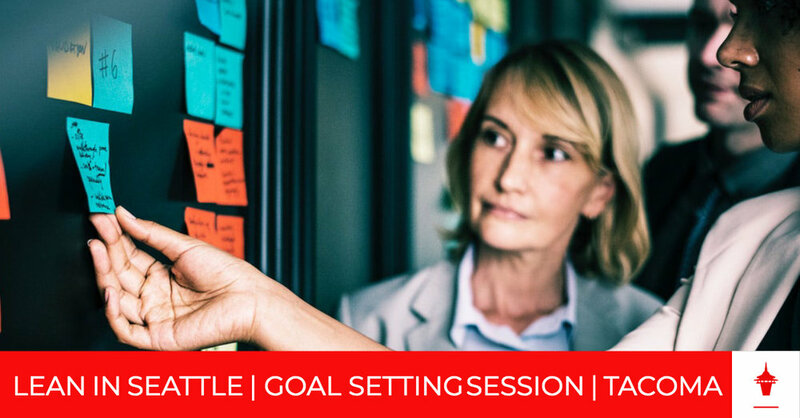 To kickoff 2019, Lean In Seattle leaders are hosting a variety of Goal Setting sessions across the region. Find one that works for your schedule and join us to get clear on what you want for this year. This interactive event was selected for members who have requested a centrally located weekday evening option that focuses on financial literacy and goal setting. 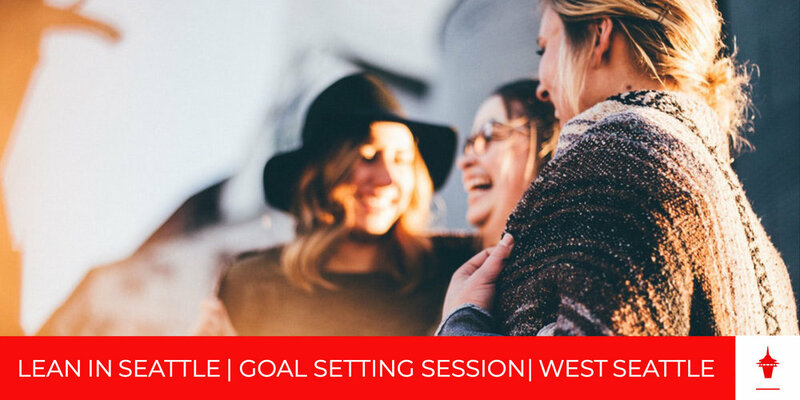 Due to the limited availability of spaces, there is very strict cancellation policy for the Goal Setting Sessions. These events are for members of the Lean In Seattle community. Join us for a Quiz Show-style workshop with Cecille Nguyen, MBA – Independent Wealth Strategist with 360 Advisers and Victorian Capital Management. We will have an informative and fun discussion regarding the basic building blocks of personal money management including budgeting, insurance, will and estate planning, and understanding retirement accounts. Audience participation is encouraged. CANCELLATION POLICY: STRICT. There are limited spaces available for this event. If you RSVP to this event, you are making a commitment to attend. Cancellations and No Shows are not permitted. Only RSVP if you are 100% confident that you can attend. A California girl through and through, Cecille was born in Silicon Valley and raised all over Northern California. She attended university at UC Davis and completed her Master of Business Administration at Dominican University of California in Marin County. Cecille now finds herself at home in Seattle and the Pacific Northwest. Cecille leverages her over 20 years of experience in banking and finance to empower her clients with financial education throughout the planning process. 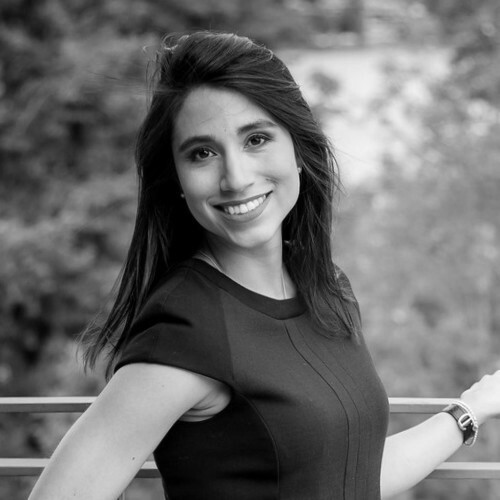 As an independent adviser, Cecille works with her clients to implement customized, comprehensive financial plans by using tax-efficient strategies and balancing investments with risk management. When she is not working with her clients on their holistic financial plans, she enjoys cooking, hiking, practicing yoga, watching the Great British Baking Show or flying back to California to visit family. Lean In Seattle Chapter is the world's largest and most strategically inclusive Lean In chapter in the world. We're an inclusive community that celebrates diversity and leadership at every level. We have 6,000+ active members and 100+ Circles and are one of Lean In Headquarter's 30 Regional Leaders worldwide. We are a multicultural and multi-generational community dedicated to moving women forward. We Want More Voices to Be Heard! Your voice is powerful. You use your voice to tell your story, share your experiences, and build connections. We want you to develop the public speaking skills you will need at any level of your career or entrepreneurship journey in a psychologically safe environment. And we want to amplify your voices! Members who are having a difficult time communicating and having their voices heard during interviews (as the candidate or hiring manager), when presenting their ideas at work, and when sharing their stories. Please join us on Saturday, February 16th at MG2 in Seattle from 9:00-12:00 for a morning full of workshops, breakout sessions, mock interviews, and peer support. This event has been designed to include speakers at all skill levels and will provide up opportunities for experienced speakers to contribute to the growth of those looking to develop their skills. We want more voices to be heard! We want to listen to your ideas, stories, and experiences! We want to amplify more voices! Please RSVP today and invite your friends!! Important Inclusion Details: This event is free to attend, the venue is ADA accessible, and we use an inclusive definition of "women" in our mission - we welcome individuals who are trans women, genderqueer, and gender non-conforming. There will be gender neutral restroom access. Please RSVP today and if your plans change and you will not be able to join us, please RSVP by February 14th. Lean In Seattle would like to welcome members with different mobility abilities to join us at this event. The MG2 is a partner in the quest for accessible spaces. There is a wheelchair accessible ramp at the venue entrance. The elevator to the event space and restrooms in the venue are ADA approved. 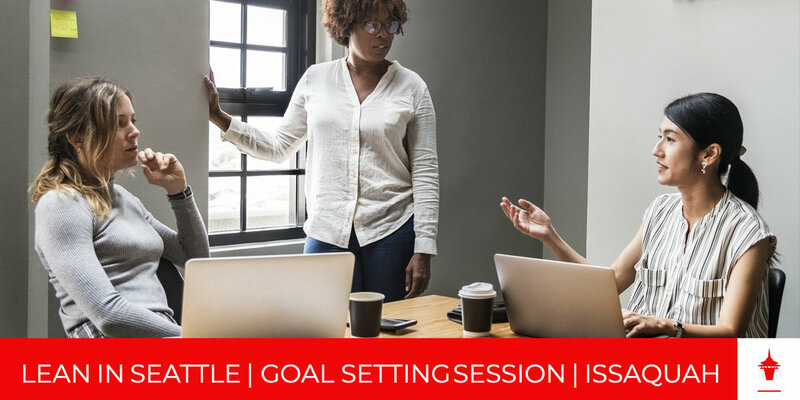 To kickoff 2019, Lean In Seattle leaders are hosting a variety of Goal Setting sessions across the region. Find one that works for your schedule and join us to get clear on what you want for this year. *These events are for women in the Lean In Seattle community. 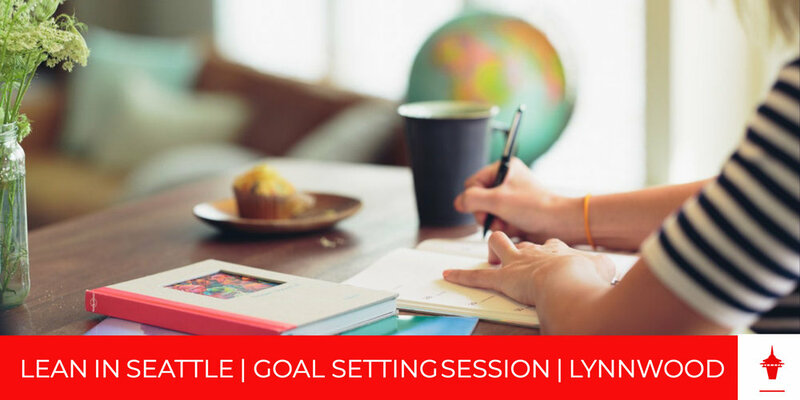 Due to the limited availability of spaces, there is very strict cancellation policy for the Goal Setting Sessions. Jessica is an energetic, grounded, and intuitive coach who inspires her clients to reach their top performance levels. By providing expert tools and resources and supporting her clients’ accountability, Jessica is able to help them uncover and fulfill their precise needs. From years of working in collaborative corporate environments, she understands the importance of one’s voice, and of knowing how to speak up powerfully in order to create the change they want to see. After over 10 years building relationships in corporate real estate and helping small and large retailers expand their businesses, she is now focused on expanding the power of the individual. Jessica has a B.S. in Political Science with a minor in Environmental Studies. She received her professional coaching certification from the Coaches Training Institute. Jessica facilitates a monthly women’s Lean Out circle which supports individual growth and accountability with deep level connecting. She also knows the joy of balancing personal and professional life—she’s the mother of two elementary school-aged kids, explorer of the Pacific Northwest beaches and forests, and a seeker of all areas of spirituality and quantum physics—while finding joy in the present moment. Laura is a women’s advocate by heart. 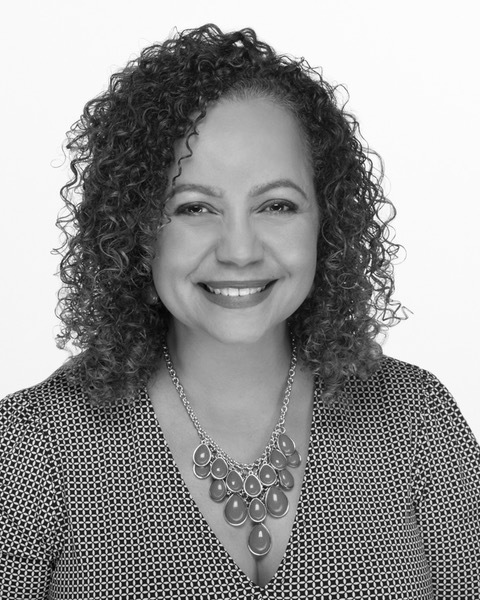 She is the founder of Laura Espriu Consulting and the creator of the Dare with Grace™ program, designed to help women boost their confidence by connecting with their strengths. As a Latina and Executive Coach, her personal agenda is helping other Latinas to raise their game. 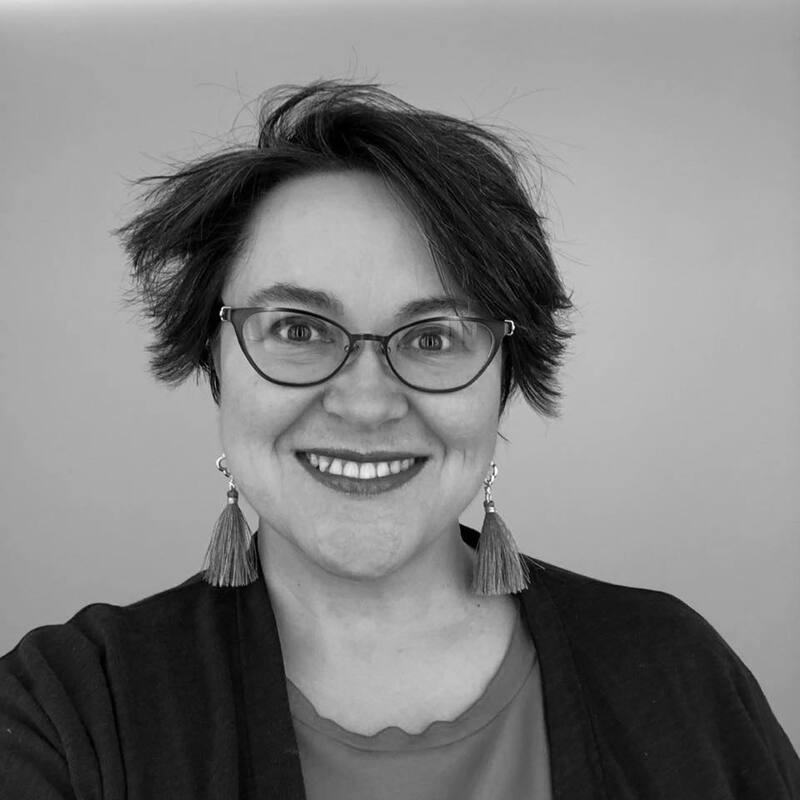 Within Lean In Seattle Chapter, she co-leads the New Member Onboarding Project, created to welcome new members and to help them to navigate smoothly through the Chapter. She is also the founders of the Latinas in Seattle Circle. She has been part of Lean In since 2014, first in NY and recently in the Seattle Chapter. I was born an entrepreneur. I remember my first lemonade stand and selling icees on street corners of Brooklyn, NY around the age of 10. I grew up in both Philly, PA and Brooklyn NY because my parents divorced when I was very young. Things were challenging in my life as a child and I experienced poverty and dysfunction. In spite of the challenges that I faced, there was always a part of me that believed that I had the power to create a new reality. I decided at an early age to create a life that I would love in spite of my past. I am now a Penn State Graduate, Mindset Coach, Business Coach, and Financial Services Adviser. I have also been married to an amazing man for 14 years and we have two beautiful children. I was a conference planner and then a successful sales rep earning my company 2 million dollars before I quit my job and started my own coaching business. I was awarded a fake gold watch as a reward for this accomplishment and that was the MindShift that I needed to realize that I deserved so much more. I then went on to sell over multi six figures in the first two years of my online business. I have also helped my clients sell over $4 MILLION DOLLARS in new business over the last three years. Stephanie is an enthusiastic connector and is passionate about leadership. She believes that there is power in giving back to her community and finds joy in being both an accountability partner and cheerleader for those around her. Stephanie has an extensive career in logistics and training, and is currently an Operations Manager with the Devices Global Logistics team at Amazon. Prior to moving to Seattle, Stephanie served in a volunteer capacity as a Jaycee Chapter President, Hugh O’Brian Youth Leadership (HOBY) NC-West Director of Logistics, and spent several years mentoring young professional leaders. She has found a happy home as a member of the Dreamers & Achievers Lean In Circle. 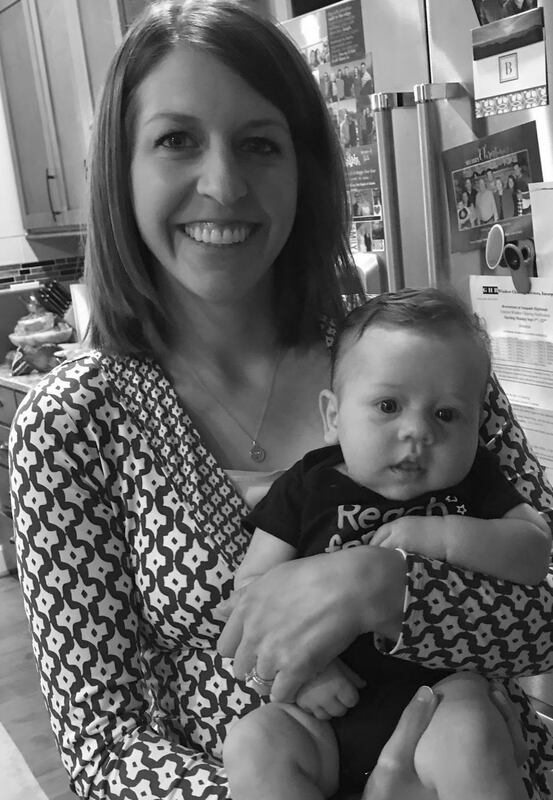 Stephanie is excited about her involvement with Lean In Seattle, serving on both the Circles and Operations teams. She lives in Bellevue with her partner, David, and dog, Maggie, and is always on the hunt for a pair of sassy shoes, especially in red. There are over 6,300 extraordinary individuals in our organization, and 2018 has been a record-breaking year for many of you. We invite you to join us for an event focused on acknowledging, amplifying, and celebrating all of the WINS that you have had this year. Please join us on Saturday, December 8th at Paccar Atrium at Bellevue College to share your success stories from 2018 and your goals for 2019 with us! Did you learn something valuable at one of our events? Were you inspired by one of our speakers/trainers to take action? Did you apply the negotiation skills that you learned to negotiate your salary? Did you learn something new about Diversity and Inclusion? Did you become an ally in a new way? Did you have a powerful conversation with an ally? Did you apply, enter, or graduate from an academic program? Did you find your voice in a new way? Did you find a team or a circle that makes you feel included? Did find or launch a Circle? Did you find a group of people in Seattle that you connected with as a newcomer? Did you launch a company as an entrepreneur? Did you secure funding for your startup? Did you sell your business? Did you make a scientific discovery? Did you transition from active military service to the civilian sector? Did you have a health breakthrough? Did you expand your family? Did you make a contact that introduced you to a new opportunity? Did you find a way to give back through this community? Did you have a different kind of WIN? We can't wait to learn more! We have had a record-breaking year! Our organization is more diverse than ever before! We grew by 2,000 people and now have over 6300 members! We won a prestigious award for being the largest and most strategically inclusive Lean In Chapter on the planet! Please join us at this WINS Celebration Event. Doors will open at 9:00, the event will begin at 9:30. The event will include a look back at 2018, the WINS Celebration, and a preview of our programming for 2019. Paccar Auditorium at Bellevue College is located in walking distance from the Eastgate Bus Station and Park and Ride and has free parking. Will send a campus map to each person who RSVPs. Paccar Atrium is ADA accessible. The front door, event space, and restrooms are all ADA accessible. The mission of Lean In Seattle is to move women forward. We are actively listening to this community to learn more about what members need in order to move forward individually and as members of Circles. We are proud that Lean In Seattle was recently recognized by the Lean In Organization as the most diverse and strategically inclusive chapter in the entire world. The Circles CONNECT series focuses on education and knowledge-sharing opportunities that our community needs for personal and Circle development. This CONNECT event will be the second in a two-part mini-series focused on promoting Diversity and Inclusion as organizational norms and the last CONNECT event of 2018. Circles are a vital part of the Lean In experience - the place where you’ll cultivate a supportive community, accountability and the encouragement to grow. 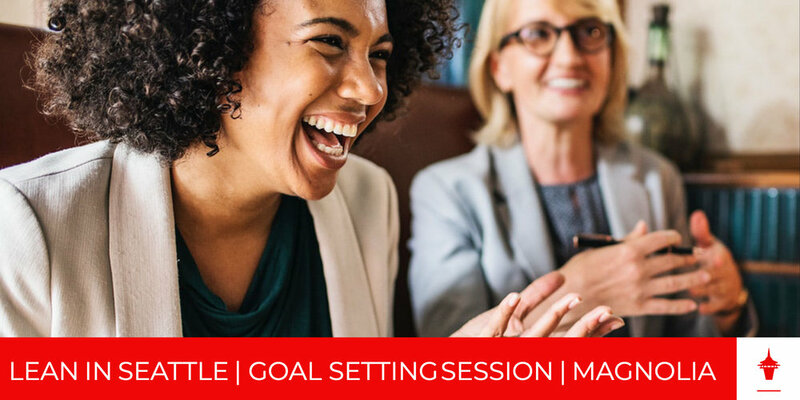 Join Lean In Seattle on July 7th to discover how powerful Circles can be in giving you the boost of motivation, inspiration, and confidence to pursue your goals. The mission of Lean In Seattle is to #MoveWomenForward. Our community has let us know that in order to move forward as students, professionals, entrepreneurs, and leaders, there is a critical need for high-impact skills development opportunities that increase the potential of attendees. Our MASTERCLASS events feature expert speakers and hands-on workshops for our community members. Our September 15th will be our third and final MASTERCLASS event in 2018. The mission of Lean In Seattle is to move women forward. We are actively listening to this community to learn more about what members need in order to move forward individually and as members of Circles. The Circles CONNECT series focuses on education and knowledge sharing opportunities that our community needs for personal and Circle development. The second event in our CIRCLES: Support and Resources series will be a Lean-In-Athon, a Lean In Hackathon! Join us for a fun and dynamic morning with activities designed to support members who are in transition, looking to grow, and looking to give back. Are you curious about what a Circle is? Maybe looking for a Circle to join? Or wanting to start a Circle? Perhaps you're looking for more members to join an existing Circle? On the heels of the #MeToo movement and recent reports of sexual misconduct, we want to take a deep dive into what it actually means to be an ally of women. Join us as we explore what allyship is, share actionable steps that allies can take, and celebrate what allies are already doing to move women forward. We encourage all Lean In Seattle members to bring their allies—their spouse, partner, colleague, children, or friends. We want EVERYONE, including men, to join us for our first Masterclass of 2018 to dig into this important topic. The mission of Lean In Seattle is to move women forward. We are actively listening to this community to learn more about what members need in order to move forward individually and as members of Circles. This is the inauguration of a new series of quarterly events called Circles CONNECT that focuses on education and exchange opportunities that members need for personal and Circle development. The New Year is right around the corner and we know what that means: time to set some big goals to tackle in 2018! What better way to do that than to join a Lean In Circle? Circles are small groups—typically of 8 to 12 members—that meet regularly to learn and grow together. At this event, we’ll host a panel of experienced Circle leaders and break out into a pop-up Circle meeting. We’ll also provide the opportunity to connect with potential Circles at Circle sign-up stations. Save your spot on Eventbrite! Oh yeah! We’re biting off the whole thing at once! Come share your story and learn about rewarding ways to contribute to the next big Lean In Seattle vision in 2018! Stay tuned on Facebook and in our next newsletter for all the ways to Lean In at our December event. We want your skills and expertise! 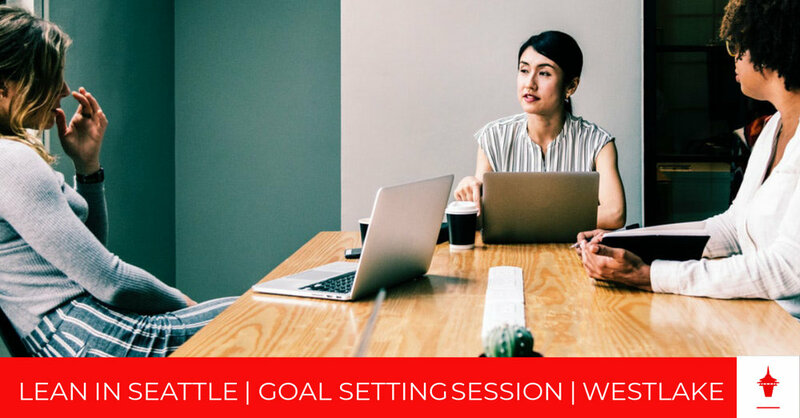 We are eager to welcome several highly respected speakers and trainers to this workshop to share how Lean In Seattle members can reach their economic goals both personally and professionally. On October 7, it’s time to get real. In a new style of masterclass workshop, we at Lean In Seattle will be tackling big, meaty, actionable content designed to work as a quantum leap to our mission of moving women forward. After the Lean In and McKinsey’s Women in the Workplace, study found that in 2015, 90% of new CEOs were promoted or hired from line roles, and 100% were men (with women holding only 20% of SVP level line roles), we knew that line roles + the C-Suite needed to be a hot area of focus. So, if you want to get to the C-Suite, be a part of critical business conversations, or learn how to create your own path to both, do.not.miss.this. It’s about to get real. Are you ready? Have you ever accepted a job offer, and wondered if your compensation could have been higher? Have you seen new positions open, but don’t know how to ask for a promotion? We’re excited to announce our September event: Negotiate to Win. Our expert panelists will share insights on how women can better negotiate for new jobs and promotions. And our interactive breakout session will give you a chance to learn and up-level the skills that will lead you to achieve your goals. Come join us for a roundtable discussion on the next evolution of our chapter! Lean In Seattle will host a two-part Chapter Development Summit. We welcome you to join us as we reflect on our growth and re-envision the future of Lean In Seattle. Our goal is to enable a broader group of leaders to contribute to the chapter. Your contributions will help to shape the next steps for our community. We've heard you loud and clear! This event will be ALL ABOUT CIRCLES. In this session we’ll host a panel of experienced Circle leaders and break out into a pop-up Circle meeting. You'll discover how powerful Circles can be in giving you the boost of energy and confidence to pursue your goals. Circle sign-up stations will be in place for you to find your Circle and connect!